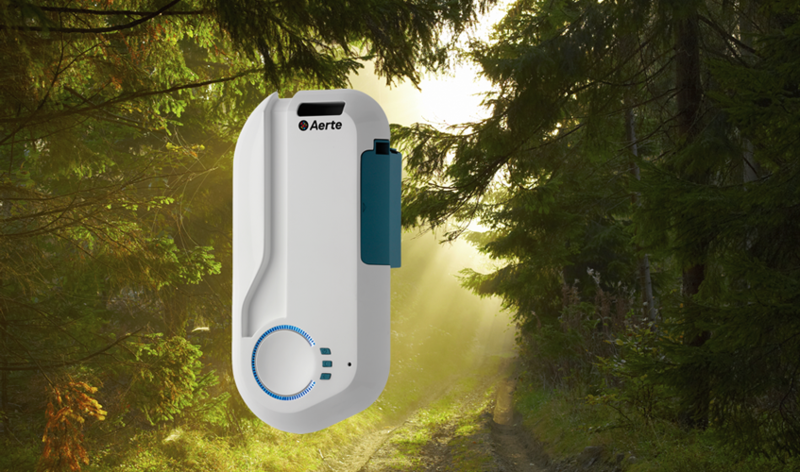 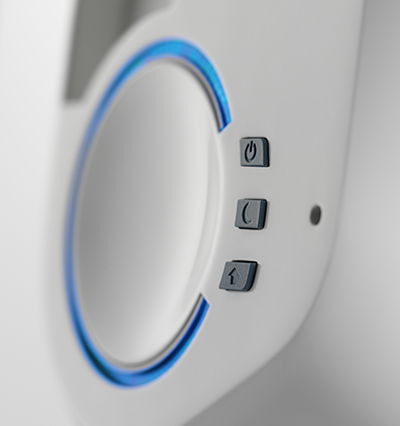 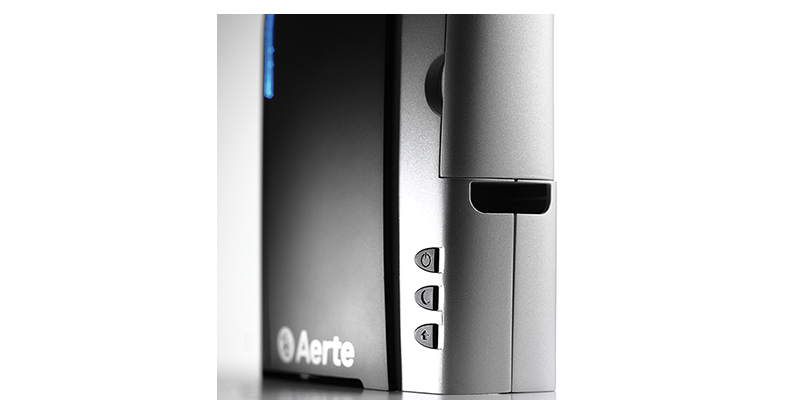 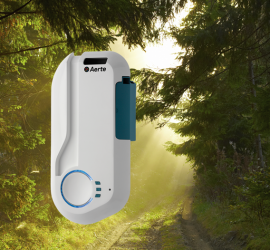 The Aerte Klean device is specially made for home use. 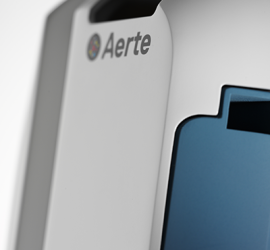 Close-up of the Aerte Klean air cleaning device with the cartridge slot in the upper right corner. 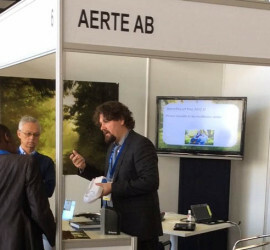 Upcoming exhibitions 2016, we are looking forward to meet you.